Deal Of The Day: Up To 55% Off Select 3M Filtrete Filters! You are here: Home / Great Deals / Amazon Deals / Deal Of The Day: Up To 55% Off Select 3M Filtrete Filters! Deal Of The Day! Head over to Amazon and order 3M Filtrete Filters for your heating and airconditioning systems! Get up to 55% Off select Filtrete Filters! Prime members and orders of $35+ get FREE Shipping! 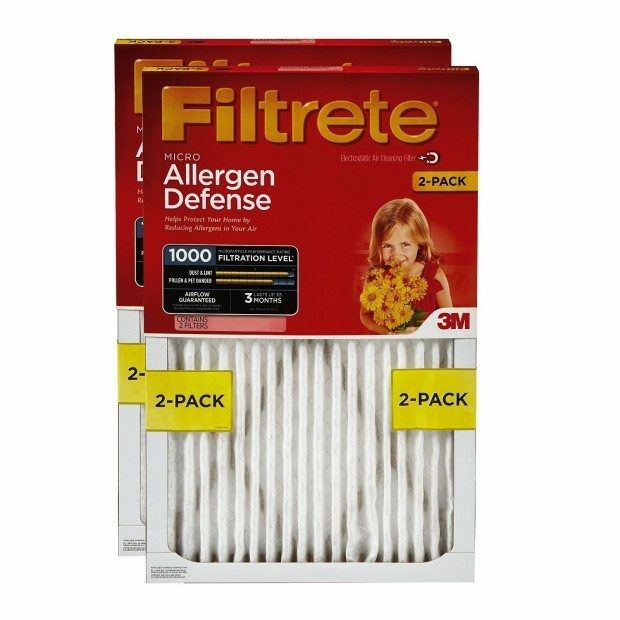 Filtrete filters capture large particles like household dust, pollen, dust mite debris, mold spores, and pet dander. They also protect your home from small particles like smoke, smog, bacteria, viruses, and odors.